The case law around the country is split as to whether mortgage payments not being made with no intention of being made can be included for purposes of the means test if those payments are still contractually due. The means test is the mechanism set forth in the Bankruptcy Code pursuant to 11 U.S.C. 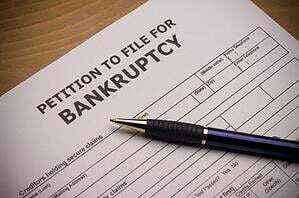 § 707(b) that determines whether an individual with mostly consumer debt is eligible to file for chapter 7 bankruptcy. Rather than wade into this issue that has yielded split decisions from bankruptcy courts around the country, the Court found that the Debtor’s mortgage obligation was discharged in a prior chapter 7 bankruptcy. As a result of the discharge of the Debtor’s mortgage debt, the Court found that the Debtor could not be deducted for purposes of the means test as being contractually due. [p]ursuant to the merger doctrine, “a contract is deemed to merge with the judgment, thereby depriving a plaintiff from being able to assert claims based on the terms and provisions of the contractual instrument.” As a matter of New Jersey law, it is “well established that upon foreclosure, the mortgage agreement merges with the final judgment of foreclosure, and ‘such decree represents the final determination of the debt.”” “What had been a private claim under the mortgage contracts becomes a special form of judgment [which] entitle[s] the plaintiff to writ of execution to sell the designated property to satisfy the amount determined to be due.” Simply put, the contractual claim is extinguished and only a judgment claim remains. Accordingly, the Court found that the Debtor’s mortgage payment could not be contractually due when there was no longer a contract due to the foreclosure judgment being entered. Therefore, the Court held that this prevented the Debtor from claiming a deduction for contractually due mortgage payments in his means test. Accordingly, without the deduction of the mortgage payment, the Debtor failed the means test. Where ‘granting relief would be an abuse’ of Chapter 7, the ‘totality of the circumstances’ test” set forth in Section 707(b)(3)(B) of the Bankruptcy Code “permits dismissal given a ‘debtor’s financial situation.’” A debtor’s financial condition is assessed as of the motion to dismiss. A debtor’s ability to pay is the primary factor in determining abuse, but ability to pay alone is insufficient. Courts look to whether a debtor would have the ability to make payments from his or her disposable income that would be available to fund a Chapter 13 Plan…At lease one bankruptcy court in this Circuit continues to analyze the totality of circumstances according to nine factors that are “identical” to those previously considered to determine “substantial abuse” under the prior version of section 707(b). These factors are as follows: (1) whether the bankruptcy petition was filed because of sudden illness, calamity, disability, or unemployment; (2) whether the debtor made consumer purchases far in excess of his ability to repay; (3) whether the debtor’s proposed family budget is excessive or unreasonable; (4) whether the debtor’s schedules and statements of current income and expenditures reasonably and accurately reflect his true financial condition; (5) whether the bankruptcy petition was filed in bad faith; (6) whether the debtor engaged in eve of bankruptcy purchases; (7) whether the debtor enjoys a stable source of future income; (8) whether he is eligible for adjustment of his debts through chapter 13 of the Bankruptcy Code; and (9) whether the debtor’s expenses can be reduced significantly without depriving him of adequate food, clothing, shelter, and other necessities. This Court found that the nine, non-exclusive, factors were helpful in its decision making; however, it found that “the debtor’s ability to pay…is a “primary consideration” in the Court’s evaluation of the totality of the circumstances.” The Court further found that the Debtor’s claim of being unable to make a significant repayment to creditors when he admitted that he may have monthly disposable income of $1,922.00 was “hollow”. The Court also noted that he had been making voluntary payments to support his adult son and his family instead of paying his creditors. The Court reviewed the Debtor’s financial history and found that the bankruptcy was not commenced by a sudden event and that the Debtor had steady income to fund a debt repayment plan. Therefore, the Court held that allowing the Debtor to obtain a chapter 7 bankruptcy discharge would be an abuse of the chapter 7 discharge provisions. Accordingly, the Court held that dismissal of the Debtor’s Bankruptcy Case was also warranted based on the totality of the circumstances. For further research as to this successful decision that I litigated on behalf of our client, the subject bankruptcy case caption is In re Patrick Stanley Allocco and the Court’s decision can be found by clicking here.